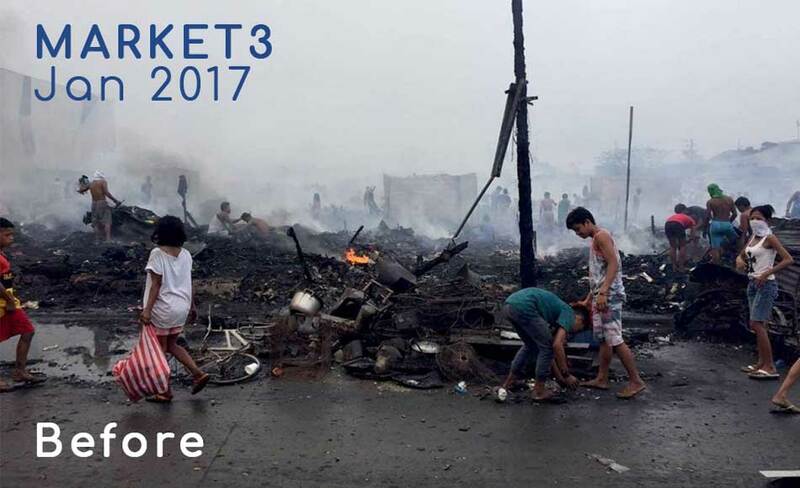 January 2017: a devastating fire destroyed Market 3, one of the slums located in the port of Manila which hosted one of our seven daycare centres. Our center was no more along with the entire slum. Families were relocated to the neighboring and – fortunately – covered basketball court, while waiting for an alternative solution for accommodation. The slum area was “cleared up”. We were on the field 24/7, helping families cope with the situation morally, analyzing their needs, while collecting, packing and distributing survival equipments and the much-needed food. March 2017: after weeks of waiting and uncertainty, families were finally allowed to move back to the site and re-build their homes – shanties made of wood and metal parts they gathered here and there. In just a few days, the area literally came back to life. 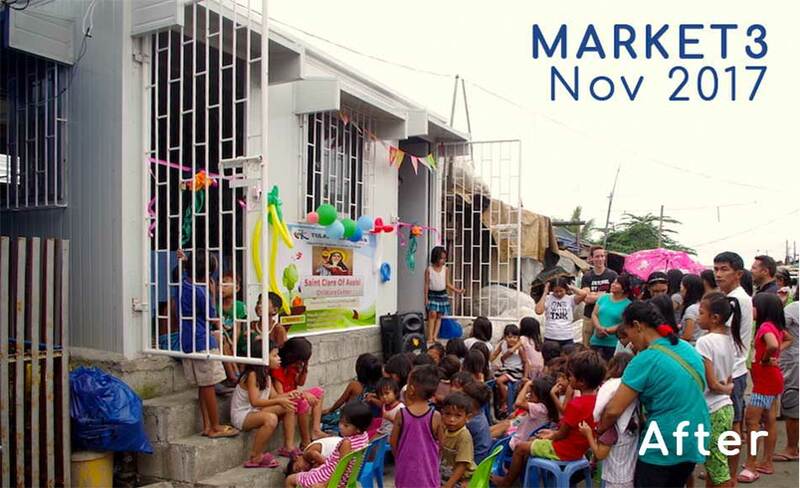 November 2017: 10 months after the terrible fire, we were able to rebuild and reopen our daycare center! More than a hundred children are now enrolled there in our daily program. This was all made possible thanks to your overwhelming support for which we are deeply grateful! For this, THANK YOU from the bottom of our hearts!